How would you like to win the ultimate fashion trip? Well here's your chance! First let's talk about the fantastic prize. The prize is five nights for two at the Tribeca Grand hotel, in a King Deluxe room, plus VIP welcome amenity with two tickets to attend the Oscar de la Renta runway show during New York Fashion Week (NYFW)? But that's not all! 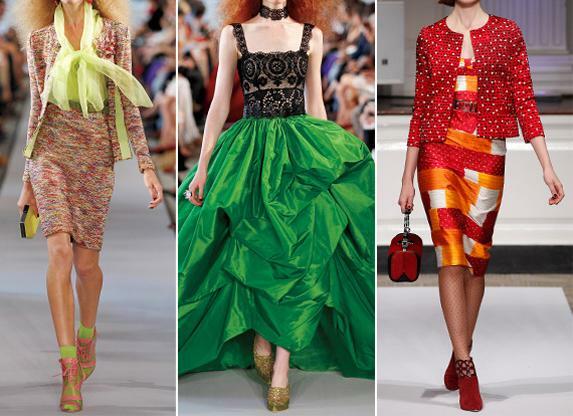 As well as $1000 towards airfares provided by ShopStyle, you'll win a $2,500 Oscar de la Renta shopping spree. Thank you very much!!! Everybody knows that entry to the Fashion Week runway shows is by invitation only so this is a great opportunity to mix it with models, buyers and fashion editors alike! For your chance to win this ultimate New York Fashion Week experience, simply register at Tablet Hotels before 11.59.59 PM ET on January 22, 2012. Terms and conditions apply. For more hot fashion sales and news follow the Chic Alert on Twitter. The designs are unique and stylish. I like the red color dress which has some good design and its awesome..